Radiac/Tyrolit’s MIRA DDG has made the company into a market and technology leader in the field of diamond dressing gear production. Honing wheels are trued and sharpened during the dressing process. 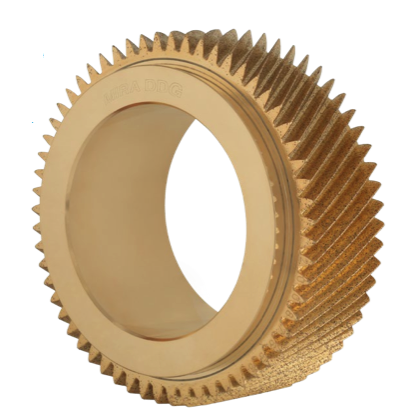 Thanks to their high level of reproducibility and cutting ability, MIRA DDG dressing gears guarantee optimum dressing results, the best possible tooth geometry and surface quality as well as long tool service life.